George Robert Stowe Mead (18631933) was an author, editor, translator, and an influential member of the Theosophical Society as well as the founder of the Quest Society. Mead became a member of Helena Petrovna Blavatsky's Theosophical Society in 1884. He abandoned his teaching profession in 1889 to be Blavatsky's private secretary and also became a joint-secretary of the Esoteric Section (E.S.) of the Theosophical Society. The E.S. was for those whom the Theosophical Society deemed more advanced. G.R.S Mead received Blavatsky's six Esoteric Instructions and other teachings at twenty-two meetings headed by Blavatsky which were only attended by the Inner Group of the Theosophical Society. It was because of the intimacy Mead felt with the Inner Group that he married Laura Cooper in 1899. Contributing intellectually to the Theosophical Society, at first most interested in eastern religions, he quickly became more and more attracted to western esotericism of religion and philosophy, particularly Neoplatonism, Gnosticism and Hermeticism, though his scholarship and publications continued to engage with eastern religion. Making many contributions to the Theosophical Society's Lucifer as joint editor, he eventually became the sole editor of The Theosophical Review in 1907 (as Lucifer was renamed in 1897). The Mithraic Mysteries were a mystery religion practised in the Roman Empire from about the 1st to 4th centuries AD. 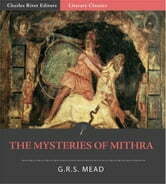 The name of the Zoroastrian god Mithra, adapted into Greek as Mithras, was linked to a new and distinctive imagery. 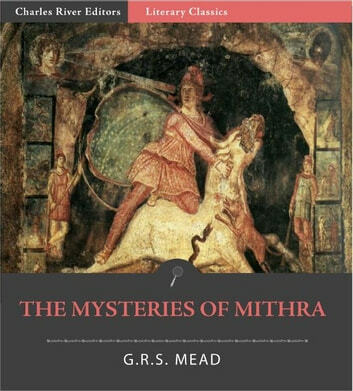 Romans also called the religion Mysteries of Mithras or Mysteries of the Persians; modern historians refer to it as Mithraism, or sometimes Roman Mithraism. The mysteries were popular in the Roman military.